When I ran a trade shop, time was money, and I often found myself sizing 50 to 60 rings in a day. When you’re doing that kind of volume, being able to quickly size up rings can make a big difference on your bottom line. Here’s my technique for sizing rings up quickly, accurately, and with the least amount of waste. Hold the ring securely on your bench pin or on a ring pin on your bench. Split the ring using a jeweler’s saw. Pull the ring over a metal mandrel until it stretches. You may have to gently tap the shank with a rawhide mallet or plastic hammer to round it properly. Avoid tapping any hollow areas or close to gemstones. I like to make my own sizing stock, preferring to use long square or rectangle pieces. These will work on almost every type of shank and are less wasteful than trying to make stock for different ring profiles. 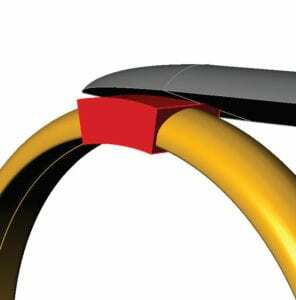 Take a piece of stock that is close to the cross section of the ring being sized. Cut a small chip of solder and lay it on a soldering block (the chip should be about the same size as the cross section of the ring). Heat it with a torch until it balls up. Holding one end of the stock with soldering tweezers, add a drop of flux to the other end of the stock and then apply heat and join the stock to the ball of solder. Dip the ring into a mix of boric acid and alcohol, then place it in a third hand. Let the alcohol dry or burn it off with a torch. (Be careful not to do this near heat sensitive stones.) The boric acid coating will keep the ring from oxidizing and turning red. Use soldering tweezers to hold the sizing stock, then hold the end with the solder ball to one open end of the ring shank. With a torch, apply heat to the two pieces until the solder melts and joins them. A soft brusher flame with no hissing sound is better for this. 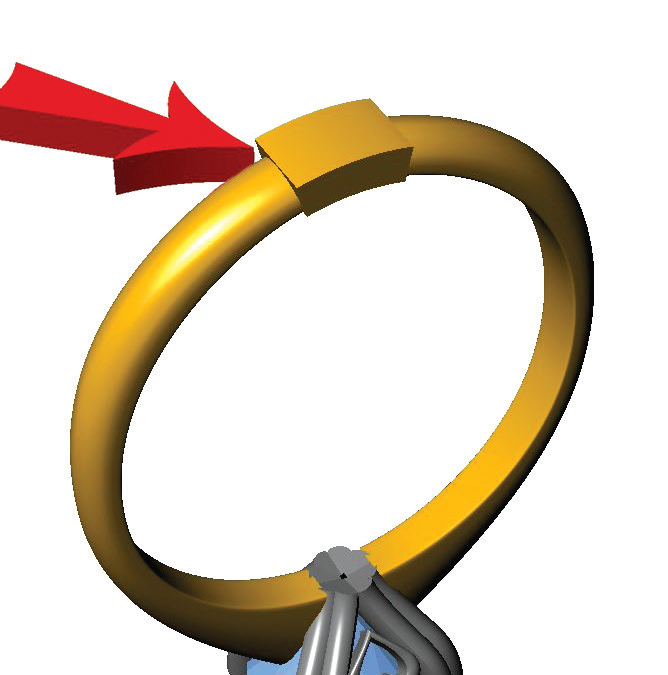 Quench the ring in water, then slide it onto a mandrel. 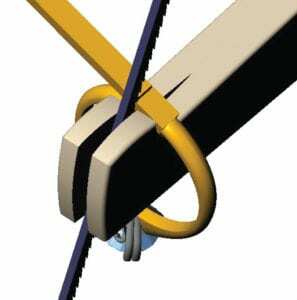 Pull the ring to the appropriate size and use a scribe to mark where the sizing stock overlaps the open end of the shank. 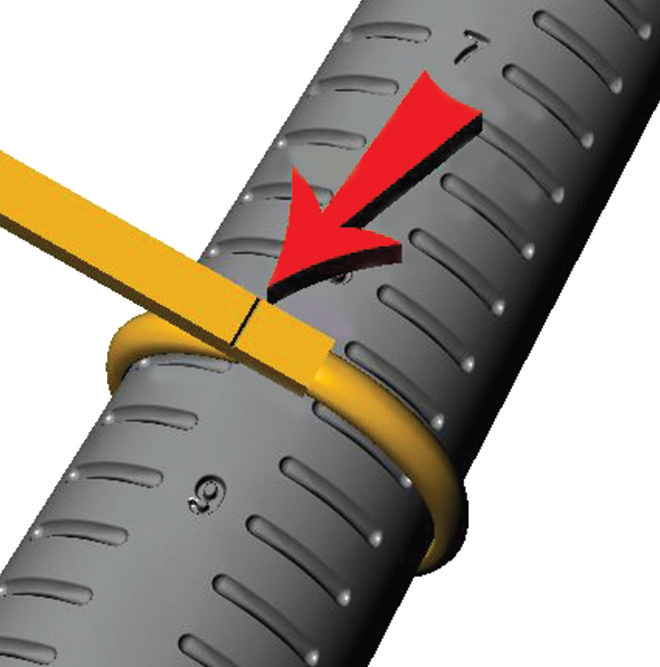 Place the ring back on the ring pin and cut it where the mark is, removing the excess stock. If the cut isn’t square, run a small flat needle file over it once. This will remove any flashing the saw may have left behind. Use a pair of ring bending pliers to close the gap between the stock and shank end. Make sure that the seam is as tight as possible. Dip the ring in boric acid and alcohol and burn off any excess. Add flux to the seam and place a chip of solder the same size as the earlier one to the seam. Use a torch to solder the end in place. Finish by filing the sizing stock to match the band’s profile and then polish the newly upsized ring. Joel McFadden is a third-generation jeweler who learned the trade from his grandfather and other old-time jewelers in Charleston, South Carolina. He currently is the owner of The Art of Jewelry by Joel McFadden, a custom design jewelry boutique in Red Bank, New Jersey.